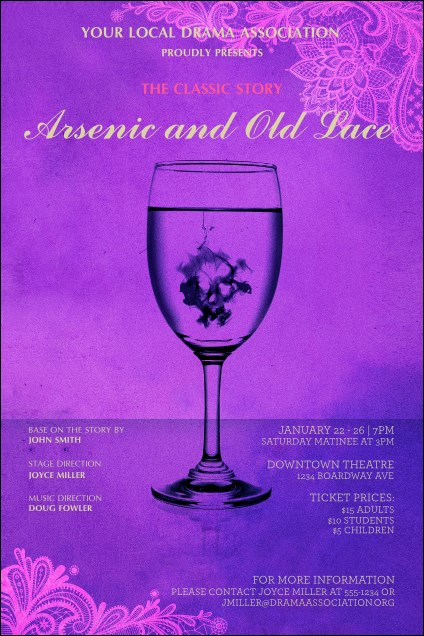 Make sure everyone knows about your school play or community production when you use the Arsenic & Old Lace Poster! A poisonous glass on a pink and purple background will quickly remind folks of the well-known story. Fill in all your details on 21 easy-to-edit lines. The right poster for any event is simple to come by when you shop TicketPrinting.com!